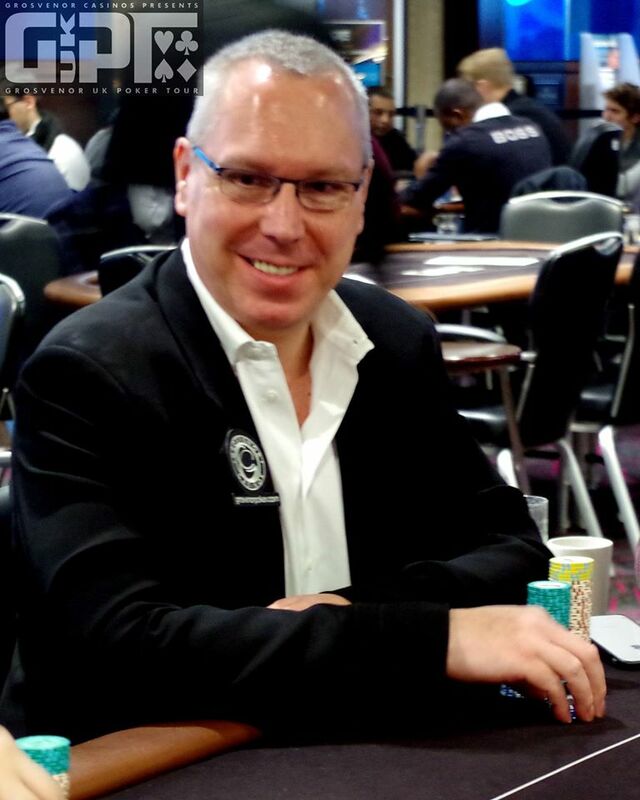 GUKPT regular Dan Samson is chip leader for Day 2 of the GUKPT London Mini Main tourney which kicks off this evening at 6pm. There were 318 entries in this year’s event with 62 players still in contention for the £17,650 first prize. The £220 buy-in event came with a £20k guarantee but has more than tripled that this year with a £63,600 total prize pool. Samson currently has 223,800 in chips, some 20,000 ahead of nearest rival Hilton Stoch. Dan has already notched up close to $350k in live tourney winnings, his biggest cash coming at GUKPT London nine years ago when he finished third for £50,880. The £1,100 Main Event starts on Thursday and is certain to attract some big names including sponsored pros Joe Beevers, Jeff Kimber and Katie Swift along with Andy “LogJam” Hills, who won the GUKPT Passport promotion after a run of amazing online results and a third place in the Salford 25/25. Hills now gets to play every leg of the 2017 GUKPT after snagging tournament buy-ins totaling £8,000. MainEventTravel.com still has plenty of great hotel options on offer for anyone planning to compete in the Main and, as the GUKPT’s Official Travel Partner, can help with your travel needs for the whole of the 2017 GUKPT tour. 2017 is the GUKPT’s 11th consecutive season and promises to provide another record breaking year with a packed schedule and staggering £1,800,000 in Main and Mini Main guarantees. There will be nine legs in total this year before the GUKPT Grand Final takes place at The Poker Room above the Grosvenor Victoria Casino in London in November. Each leg has a Main Event with guarantee ranging from £100,000 to £400,000 and a buy-in from £500+50 to £2,000+125. As well as the Main Event, a host of other events are on offer including 6Max, bounties, Omaha and satellites catering to all different types of players and bankrolls. Live and online satellites give players a wealth of opportunities to win their Main Event seats for a fraction of the cost.